In Hollywood, the beginning of the year is typically considered something of a dumping ground for movies. It is a time when romantic comedies and low budget films reign supreme, while the biggest titles of the year begin to build anticipation for the summer. Fortunately for us, the video game industry is almost the opposite, and the first quarter of next year is shaping up to be one of the most competitive in recent years. In the first three months alone, along with Deus Ex: Human Revolution we will see the release of Dead Space 2, Portal 2, and Crysis 2, just to name a few. It will be a crowded field, to say the least. Deus Ex: Human Revolution is doing everything it can to not only compete, but to rise above the rest when it releases in March. We have already seen a fairly impressive trailer for the game, but it was light on the actual gameplay. To balance that, the trailer below is all gameplay, and introduces a few tricks including swords built-in to the arms. Check it out and sound off below on how you think it looks. 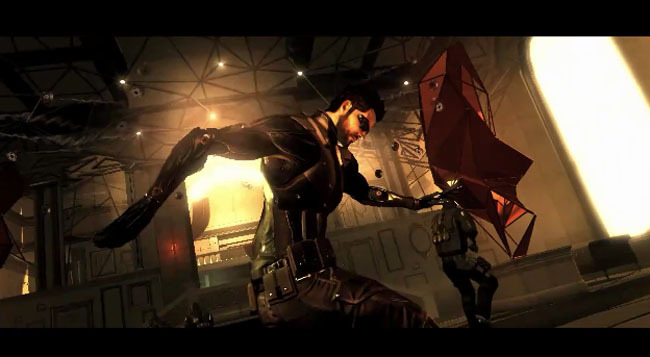 Deus Ex: Human Revolution is out for PC, PS3, and Xbox 360 on March 8, 2011.